Hi and thank you so much for stopping by!!! 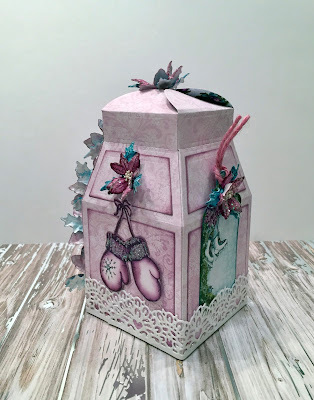 It's Inspiration Wednesday at Heartfelt Creations and I'm so excited to share this week's project with you! 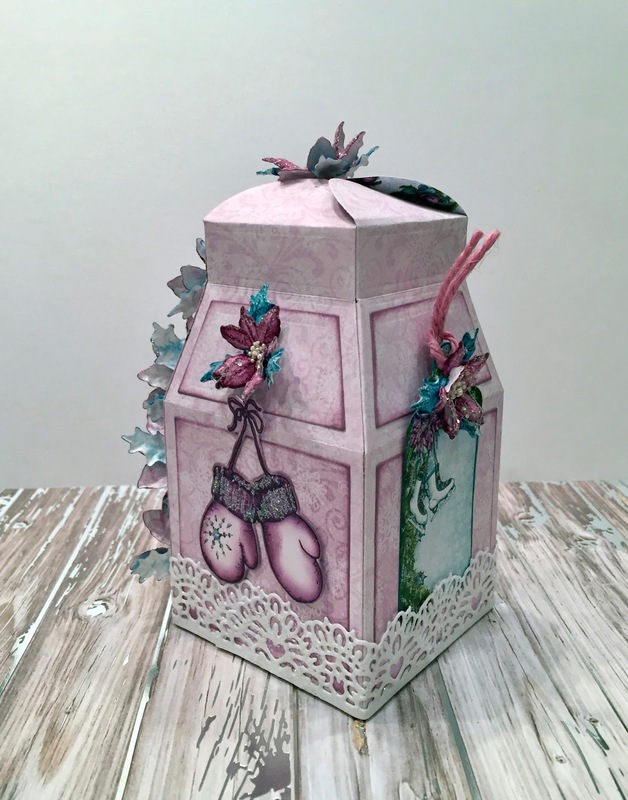 Oh my goodness I just love the new Gift of Love Box Die. There's so much you can do with it and it's super fast to cut and assemble. I love the Celebrate the Season Collection and I thought that the two were a perfect match. Next Friday we have a brand new amazing release and I can't wait for you to see it!!! Have a beautiful Thanksgiving! Enjoy every beautiful minute with your family and friends!!! Other Products: Misti, Big Shot Plus, Red Line Tape, hot glue gun. Instructions: Cut the Gift of Love Die four times from Clebrate the Season Paper Pad, fold at the score lines, burnish the folds with the bone folder from the Scor Pal and adhere the panels together with red line tape. 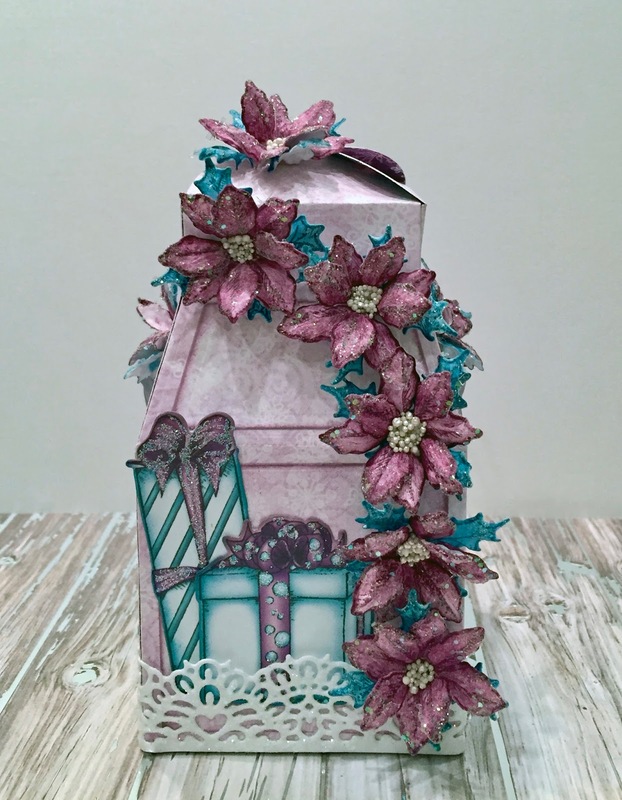 Cut four of the squares and four of the top angled pieces, ink with sweet plum and adhere to the gift box using dries clear adhesive. Stamp the leaves of the poinsettias with the Celebrate the Season and the Ornate Sleigh Cling Stamp Sets using Teal Zeal Ink, color with Teal Zeal using the Stack and Store Daubers, cut with the coordinating die and shape using the Deluxe Flower Shaping Kit. 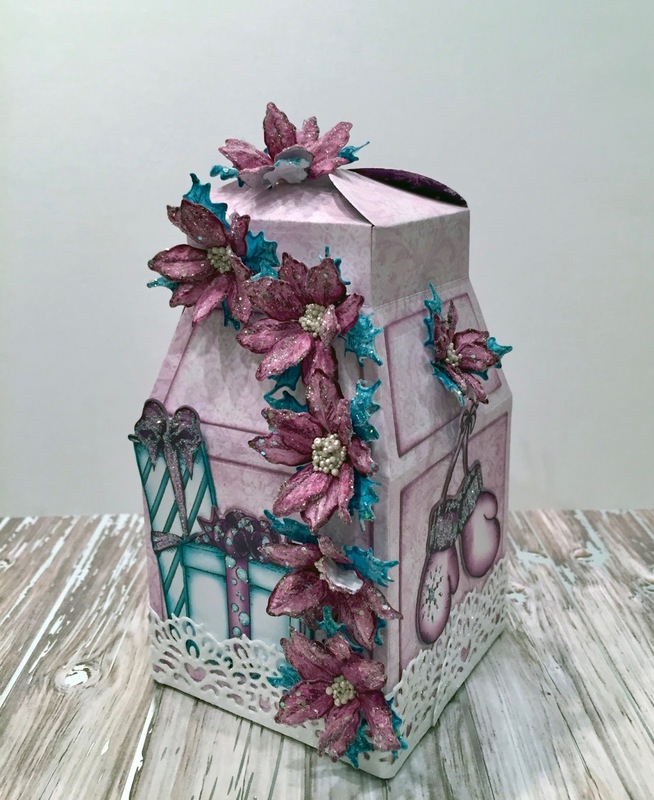 Stamp the Poinsettias from the Celebrate the Season and the Ornate Sleigh Cling Stamp sets with Sweet Plum Ink, color with Sweet Plum and Lilac Posies, cut with the coordinating dies and shape using the Deluxe Flower Shaping Kit. Adhere two of the same size petals together and then adhere to the leaves. Add a little Dries Clear Adhesive to the flower centers and sprinkle with Minnie Pearls Prills. Use a sponge to add adhesive to all of the petals and leaves and glitter with Rajni Chawla’s Crystal Clear. Adhere to the box with hot glue gun . Cut the border die from the Sweetheart border die twice from white cardstock, sponge with dries clear adhesive and sprinkle with crystal clear. When dry, trim and adhere to the bottom of the box. 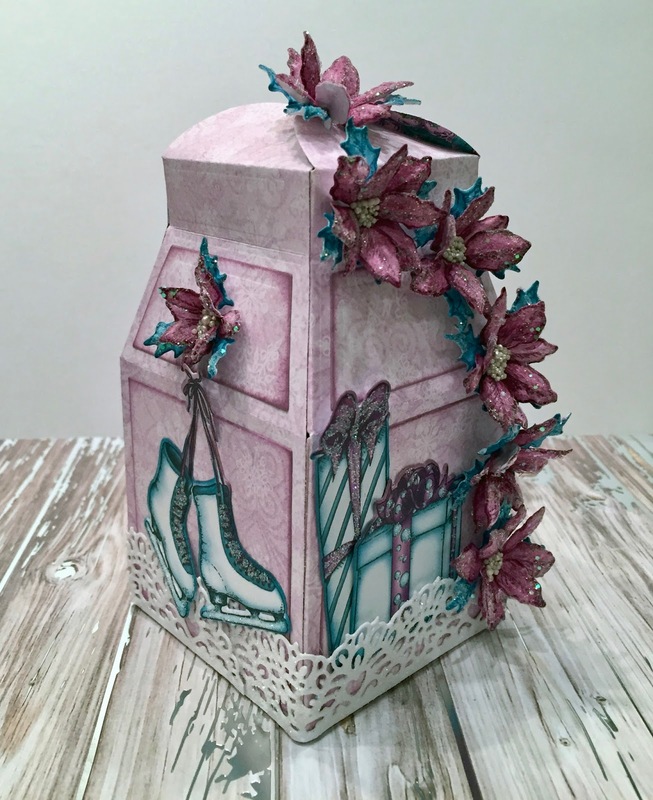 Cut the presents, mittens, and ice skates from the paper pad, ink the edges with Teal Zeal and Sweet Plum, add glitter and adhere to the box as shown. Cut a tag from the paper pad using the luggage and tags die, ink the edges, add glitter and a small piece of twine and adhere to the back of the box. Fill the box with Christmas goodies. Thank you again for stopping by, I so appreciate you. This is a very cute box! Your box is totally adorable!! I love the beautiful purple and turquoise and your cute winter theme! Beautiful poinsettias!